What is money, and how does it work? The conventional answer is that people once used sugar in the West Indies, tobacco in Virginia, and dried cod in Newfoundland, and that today's financial universe evolved from barter. Unfortunately, there is a problem with this story. It's wrong. And not just wrong, but dangerous. 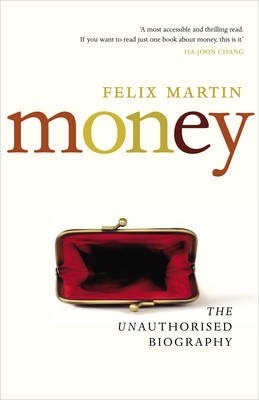 Money: the Unauthorised Biography unfolds a panoramic secret history and explains the truth about money: what it is, where it comes from, and how it works. Drawing on stories from throughout human history and around the globe, Money will radically rearrange your understanding of the world and shows how money can once again become the most powerful force for freedom we have ever known.